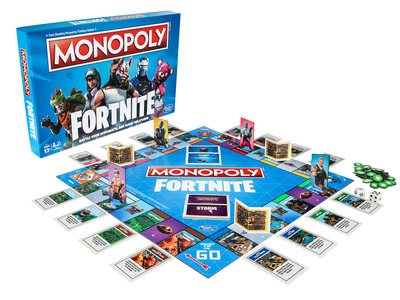 Hasbro‘Monopoly: Fortnite Edition’ is now available for $US19.99. 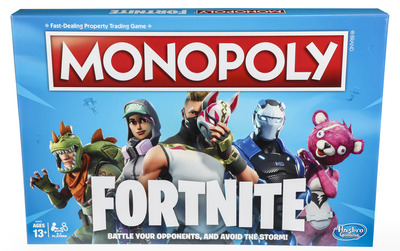 “Monopoly: Fortnite Edition” has hit stores in time for the holiday season. Retailers are selling the board game for $US19.99. Born from a licensing agreement with “Fortnite” developer Epic Games, “Monopoly: Fortnite Edition” has arrived in stores in the U.S. and U.K. in time for the holiday season. Retailers like Target and Barnes & Noble are currently selling the game for $US19.99. Hasbro‘Monopoly: Fortnite Edition’ will use locations from the video game instead of the usual Monopoly avenues.